Top photo credit: Pipe A. Whether you like it or not, you’re going to feel the effects of high altitude at 4,000 meters (13,123 feet) above sea level. For the first few days it won’t be too fun, but if you do some things right, you can feel better faster. 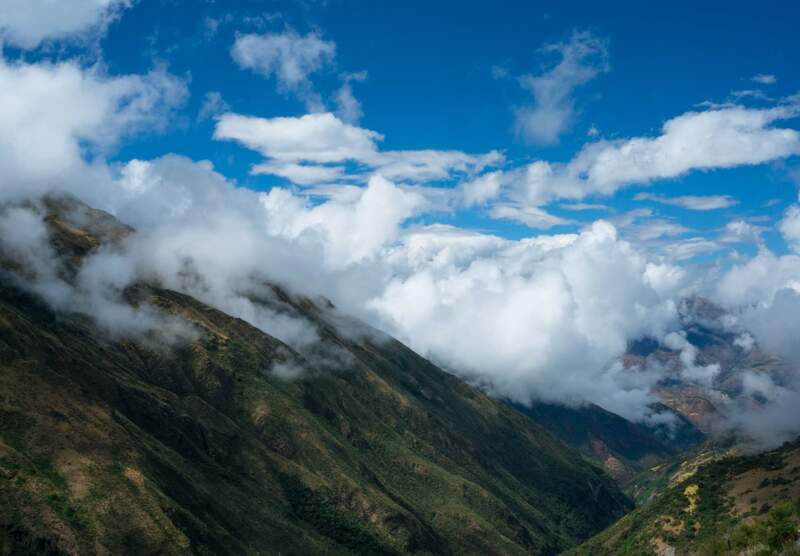 This article covers how to prevent altitude sickness with 5 tips I learned while adjusting to the high altitude when traveling to Bolivia, Peru and Ecuador during my round the world trip. When a place is at 2,100 meters (7,000 feet) above sea level or higher, it is usually considered to be high altitude. The air at that level has a lower oxygen content, which can have major effects on the human body. The highest altitude place I have been to was Illiniza Norte, a 5,126 meter (16,818 foot) mountain in Ecuador which I hiked. 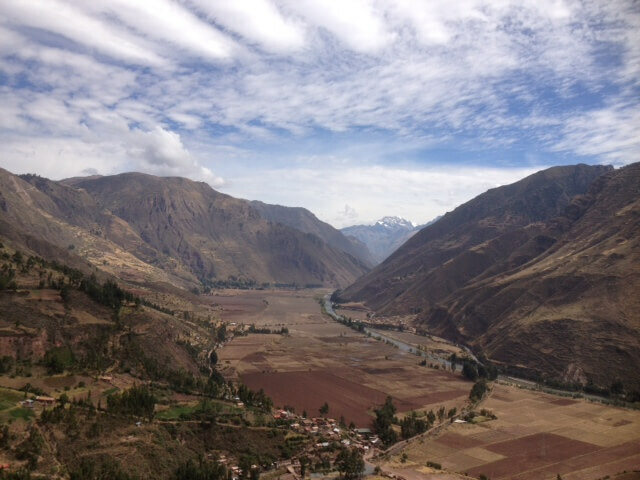 Another high altitude spot I’ve traveled to was Mirador de los Andes in Peru, 16,000 feet above sea level. I’ve also spent 2 months in Cuenca, Ecuador, which has an elevation of 2,560 meters (8,400 feet). Comparatively, Denver is one mile high, or 5280 feet (1600 meters) above sea level. One mile is still high, however the symptoms you experience when there are much less severe than when traveling to 4,000 meter plus locations. The higher you go, the stronger the effects of altitude are, and the higher likelihood of you getting altitude sickness. 8,000 meters (26,000 feet) above sea level is considered the “death zone” because the amount of oxygen at that level is “insufficient to sustain human life”, however there are very few places on earth that high. On the bright side, by following the tips in this article and with some time, you’ll be able to adjust to almost any location. When I traveled to the highlands of South America, I felt some light-headedness, fatigue, shortness of breath and had a headache on the first day. Thankfully I didn’t feel any nausea, or a rapid pulse. If you have a headache (which you probably will have on your first day(s)) you should drink lots of water. Hydrating regularly will keep you feeling fresher. Drinking water can keep you from becoming dehydrated, which could ruin your vacation. 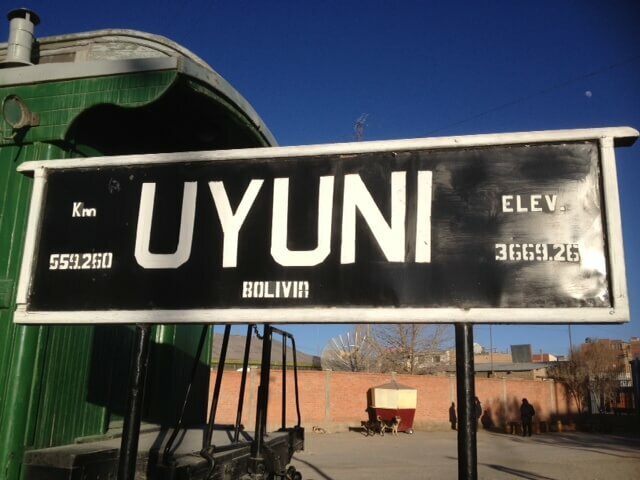 While driving from Uyuni, Bolivia, to Potosi, Bolivia, I was dehydrated and had a really bad headache. I could have prevented the headache if I had heeded my own advice. But the limited toilet stops on the road trip was one of the reasons I didn’t drink enough water. By sleeping and resting, your body can adjust to the altitude faster. Though you may wake up often in the middle of the night, it’s important to get your rest. Resist the urge to run around or explore. When I first arrived in 4000+ meter places, I would pant while putting my shoes on. I have personally experienced the effects of pushing too hard while still adjusting. While visiting the salt flats in Bolivia, we had the opportunity to do a short hike on Isla Pescado – an island with a little hill covered with cacti. I ran up the hill, and then paid for it. For the rest of the day I had a really bad headache. If you’re hiking up a high altitude mountain, like any of the 14ers in Colorado, take it slow and take breaks every once in a while. Since I traveled with my mom, dad and sister on an overland tour with Tucan Travel, we were able to take our time to adjust to the altitude. First we stayed in Salta, Argentina, which is 1152 meters (3780 feet) above sea level. We had time to acclimatize, and then we drove to Bolivia. We stayed in Tupiza, Potosi, Uyuni and La Paz in Bolivia for about 12 days, which was more than enough time for me to completely adjust to the high altitudes for three months in South America. 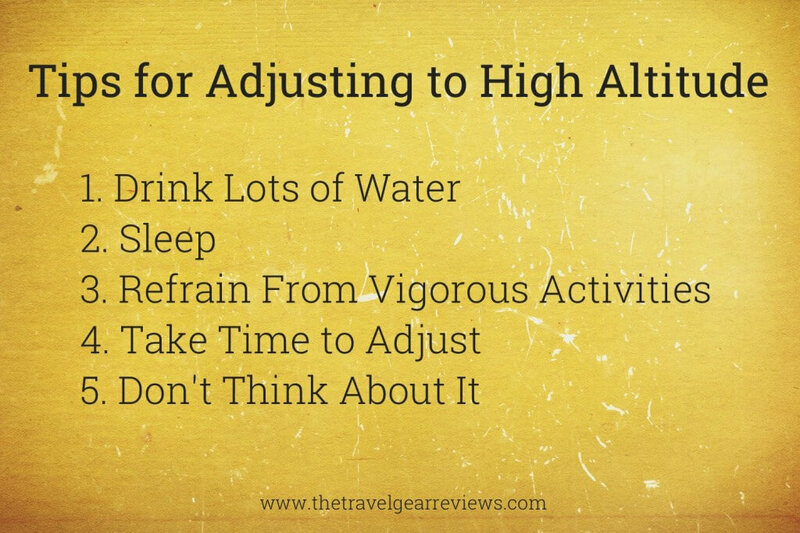 When you travel to Denver or Peru from somewhere flat like Florida, spend a few days adjusting to the altitude prior to going on hikes or climbs. Plan your itinerary in advance to give yourself time to adjust. This seems obvious, but relax and stay calm. When you start thinking about how hard you are breathing, you may feel even worst. Stay positive and enjoy your vacation. Though the high altitude may be uncomfortable, it is easy to adapt to when you do the right things. If you don’t feel well, you can always take altitude sickness supplements. Note: People say not to eat heavy meals on your first two days while in high altitude, but I did and felt fine. On our first night at high altitude in Tupiza, Bolivia I ate 3 slices of margarita pizza, and a creamy chicken pasta entrée with buttery mashed potatoes. I slept well the next night. Though I did have a nose bleed the next morning, I didn’t have any stomach issues. By the time I climbed Illiniza Norte, a 5,126 meter (16,818 foot) mountain in Ecuador last year, I had already spent 5 days in the highlands of Ecuador. I felt fine and almost completely back to normal, which meant that climbing the mountain wasn’t nearly as challenging as it would have been had I climbed it a day after landing in Ecuador. The same principle applies for travelers hiking the Inca Trail in Peru. 3-5 days is usually enough to feel somewhat back to normal, the more time the better. Note: If you feel severe symptoms of altitude sickness, consult your doctor. There are several medicines that they can prescribe such as acetazolamide. Have you ever been to a high altitude place? How did you adjust? Leave your comment below. Great tips. I remember going to Lhasa, the capital city of Tibet and me and my friend suffered from a massive headache. We drank a lot of water and it was gone after a few hours. Thanks! I had a pretty bad headache when I first got to high altitude too. Great advice. I’ll use this when we adjust to higher altitudes in New Mexico in a couple of weeks. Thanks! Hope you have a great time in New Mexico! Really good tips! I suffered from altitude sickness when in La Paz, but my sister unfortunately had it worse. She fainted in a museum, but the staff were super quick to help, and new exactly how to help her. Pretty sure it happens quite often there! Totally agree with drinking a lot of water. 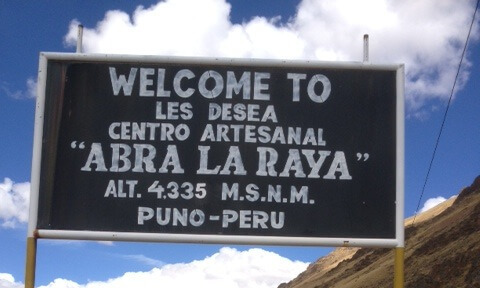 Also, drinking coca leaf tea helps and if you’re really stuck, altitude medicine worked for us…but be careful because it can dehydrates you. Thanks! Wow, I didn’t know the altitude could make you faint. I’ve never tried altitude medicine but I’ve heard it’s really effective. Can you name some of the medicines used for high altitude adjustment, please? I can’t really recommend/name any medicines, since I haven’t tried any, however I think you could get some over the counter altitude sickness medicines, but I’m not completely sure. Thanks for the tips. This will really come in handy when I get to Quito in a months’ time on my Volunteer teaching trip. Looking forward to this trip though. Especially for the expansion of Horizon and experiencing new culture.